Watching the best-of-the-best compete for gold at the 2014 Sochi Winter Olympics is inspirational. But beyond the performance of the athletes, there have already been many other inspirational moments at these Olympics. Russian cross-country skier Anton Gafarov fell and broke his ski during the Men’s Sprint Free Semifinals. In true Olympic spirit he tried to keep going, knowing that although he no longer had any chance of winning, he needed to finish the race he had started. However, his ski was broken in half. He would end up limping across the finish line in front of the world, not to mention his fellow Russians who were cheering from the sidelines. 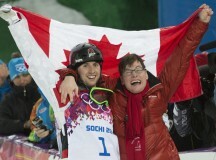 On Saturday, Mark McMorris won Canada’s first medal at the 2014 Olympics–a bronze in snowboarding. That was quickly followed up by two more medals for Canada: Justine Dufour-Lapointe won Canada’s first gold and her sister, Chloe, earned Canada’s first silver medal. McMorris is a native from Regina, Saskatchewan. Saskatchewan is known for having very flat terrain, yet McMorris was determined to be a world-class snowboarder. 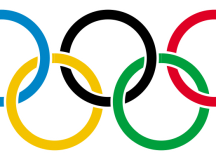 The 2014 Winter Olympics begin today in Sochi, Russa. Canadians will be cheering for their favourite athletes. But several Olympic contenders are receiving a little more attention than others. They are recovering from major injuries and needed to add extra training so they’ll be fit enough to compete. At least two slopestyle contenders from Canada are among this group. Slopestyle is an event in which skiers or snowboarders try to perform the most difficult tricks while flying as high into the air as possible. Super Bowl Sunday is nearly here. On February 2, professional football’s biggest and most important game — the Super Bowl — will take place. The Denver Broncos and the Seattle Seahawks will be battling each other for league supremacy. Denver enters the game with the league’s number-one offence. Seattle enters the game with the league’s number-one defence. 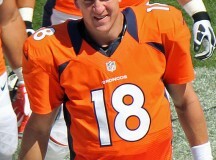 Denver has one of the best quarterbacks ever to play football: Peyton Manning. He is the only player ever selected league as the National Football League Most Valuable Player four times. He’s expected to become the first five-time MVP when the league’s year-end awards are announced on Saturday. She is the first Canadian in 22 years to reach the quarter-finals in a major tennis tournament. One of the finest baseball pitchers in the history of the sport retired yesterday. And he went out as a Blue Jay. Roy Halladay had a distinguished career as a pitcher, with a record of 203 wins and just 105 losses. He spent 12 years wearing a Blue Jays uniform; the last four years of his career he pitched for the Philadelphia Phillies. On May 29, 2010, Halladay pitched the 20th perfect game in Major League Baseball history. Then, he threw a no-hitter on Oct. 6—only the second no-hitter in MLB post-season history. He won the Cy Young Award twice and was selected eight times to play in special All-Star games. In addition to his impressive baseball skill, Halladay is also known as an upstanding person who gave generously to people in need. Although at the end of his career Halladay played for the Phillies, he wanted to finish his career as a Toronto Blue Jay. 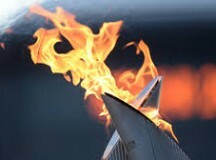 It’s customary for the country that will host the Olympic games to send the Olympic flame on a vast relay. The flame is passed from person to person, travelling around the country, often accompanied by cheering crowds watching the runners along the route. For the Sochi Winter Olympics in 2014, the torch is on a journey like no other. It has moved by runner, troika, reindeer sleigh, dragon boat, go kart, snowmobile, skier, snowboarder, ice-swimmer, speed skater and even on a Russian nuclear-powered icebreaker (ship). Some former professional hockey players are suing the National Hockey League. In this case, it means they are asking the NHL to pay them money. Two hundred former players say the NHL didn’t do enough to protect them from concussions. They say they have brain injuries because hockey is so rough, and they want the NHL to pay for their medical treatment. The players say they should have been told how dangerous repeated brain injuries are. They say the NHL waited until 1997 to put a “concussion program” in place, but the league should have known long before that how dangerous concussions are. The players say the league should have changed the rules of hockey to make it less likely that players would get concussions.